Harv Graczyk was injured in a fall during a Nov. 26 practice. A longtime Minnesota youth hockey coach who suffered a significant brain injury when he hit his head on the ice has died. The tragic news was posted to Harv Graczyk&apos;s GoFundMe account over the weekend, with an update saying the needs of the fundraiser had shifted from medical expenses to funeral expenses. "With heavy hearts we say that our beloved Harold Graczyk has passed away," his family wrote in the update. "If there is a test for Angelhood, he surely aced it and is in good hands now. Heaven is lucky to have such a kind, supportive and generous man." Graczyk, 67, was coaching kids at St. Michael-Albertville Arena on Monday, Nov. 26 when he fell and hit his head on the ice, suffering a traumatic brain injury that led to a week in an intensive care unit. Information from the fundraiser explained that Graczyk was expected to remain hospitalized for an extended period of time, followed by at least 30 days in a rehab facility, but details of what led to his death haven&apos;t been provided. Blake Graczyk described his father&apos;s injury to KARE 11, noting that the chinstrap on his helmet wasn&apos;t fastened and it flew off when he fell while teaching a hockey drill. His head struck the ice directly when he tumbled backwards. “It just shows you how important it is to have your helmet secured because if it were, he probably still would have had a concussion, but it wouldn’t have been anywhere near this level,” Blake told FOX 9. "Minnesota Hockey is deeply saddened by the news of Harold “Harv” Graczyk’s passing. Harv died as a result of an accident while coaching a practice on November 26. He was a beloved member of the Minnesota hockey community for more than 45 years as a coach in St. Michael-Albertville, Osseo-Maple Grove and as an arena manager in Osseo. He was well known for his willingness to help anyone at any time, both at the rink or away from it. He loved working with kids on the ice and off the ice to make them better hockey players and better people. Minnesota Hockey is deeply saddened by the loss of Harv and sends its sincere condolences to his St. Michael-Albertville Peewee team, the St. Michael-Albertville hockey community and most importantly, to Harv’s family and friends." 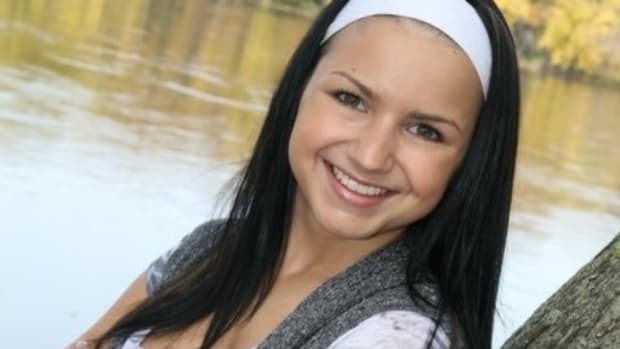 The online fundraiser for Graczyk has generated more than $22,000 as of Monday morning. He's coached hockey in Minnesota for four decades. The 58-year-old man died in a McDonald's parking lot in Spring Lake Park. The vehicle went through the ice in the narrows between Balsam Lake and East Balsam. John Egbers was injured while participating in a national race.